CSMA in Mt. View: Mondays at 9 am, 10 am, 11 am. See catalog for class-specific ages. Wund3rkid in Palo Alto: Tuesdays: Spanish in Song and Movement for ages 2-4. Thursdays: Music and Math in Movement, ages 2-4 Contact Michelle for registration. Drop-ins available. Starting new group music classes on Tuesdays at 3:30 pm and Saturdays at 10 am. Call for location. Group music class charge is $20 per child. Playgroup classes available upon request. Available Monday thru Friday. Contact Chaia for times and prices. 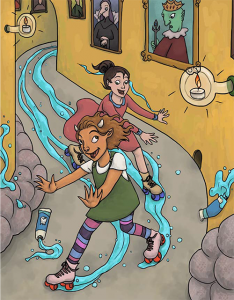 Pre-teen playwriting class in Sunnyvale and Menlo Park, starting January, ages 9-11 to produce a musical called ” Amalia and the Monster Princess” at the end. 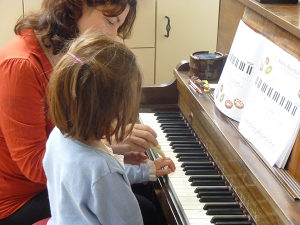 Private piano, guitar, voice coaching, music theory and special needs music instruction available upon request. Contact Chaia for times and prices. Music for birthday parties and special events. Contact Chaia for times and prices. Special themed events: Amalia and the Monster Princess: A funny story about manners. Interactive Musical for children 4 and up. Great for lunchtime birthdays! Contact Chaia for times and prices. Special Needs Music Instruction Coaching for adults to help give them support in sensory integration disorder. Contact Chaia for times and prices. Chaia can sing in Spanish, French, and Hebrew. Contact Chaia with special schedule requests. Additional travel fees may be applied, based on distance traveled (determined on a case-by-case basis). Funding for homeschoolers is available through Ocean Grove Charter School. Please contact Chaia for more information. Make-up lessons may be available based on schedule openings, with all efforts made to fit someone in. However, make-up lessons can not be guaranteed. If notice is given at the beginning of a Session, there is not charge for skipped weekly lessons. Workshops, recitals, and materials are an additional charge. Please review and complete the Studio Rules and Waiver of Liability. Videos and photos are optional at the time of recitals.